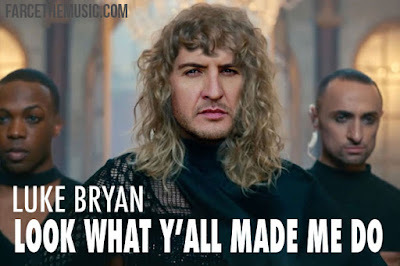 Farce the Music: If Luke Bryan Had Written Taylor Swift's "Look What You Made Me Do." If Luke Bryan Had Written Taylor Swift's "Look What You Made Me Do." "Look What Y'all Made Me Do"
I check it once, then I check it twice, yep! "I'm sorry, the old Luther can't come to the phone right now."